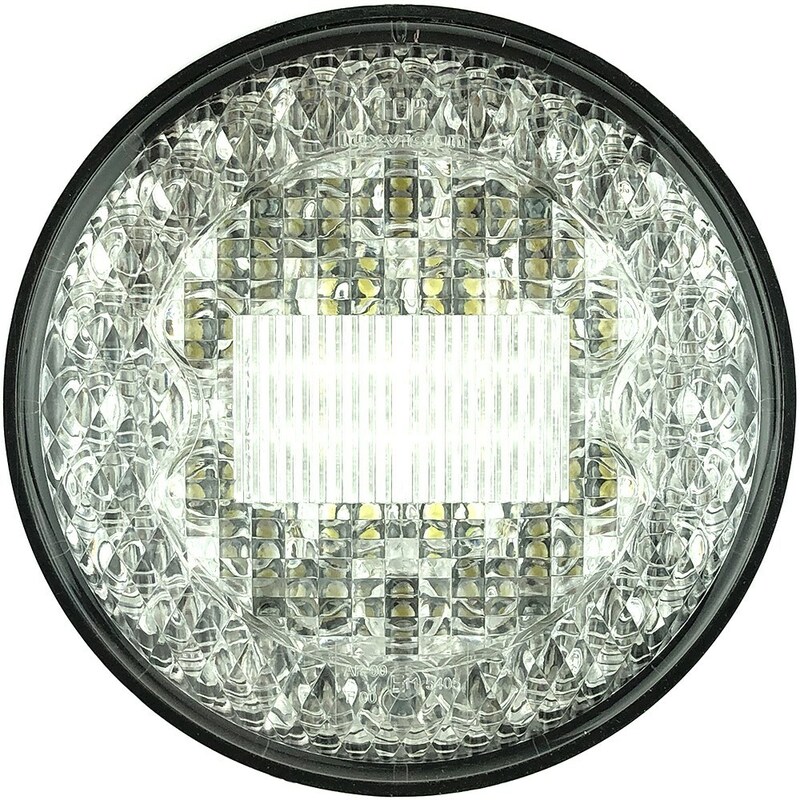 These lights have an overall diameter of 122mm (4¾")and mount through a 112mm hole. Either bond them in or make a simple U bracket to hold them in place. You can even surface mount them with the two M6 integral studs. Super bright LED's give the Red FOG outer and White REVERSE centre. Pre-wired and sealed with 300mm flyleads. 48mm wide, 35mm high, 35mm deep.